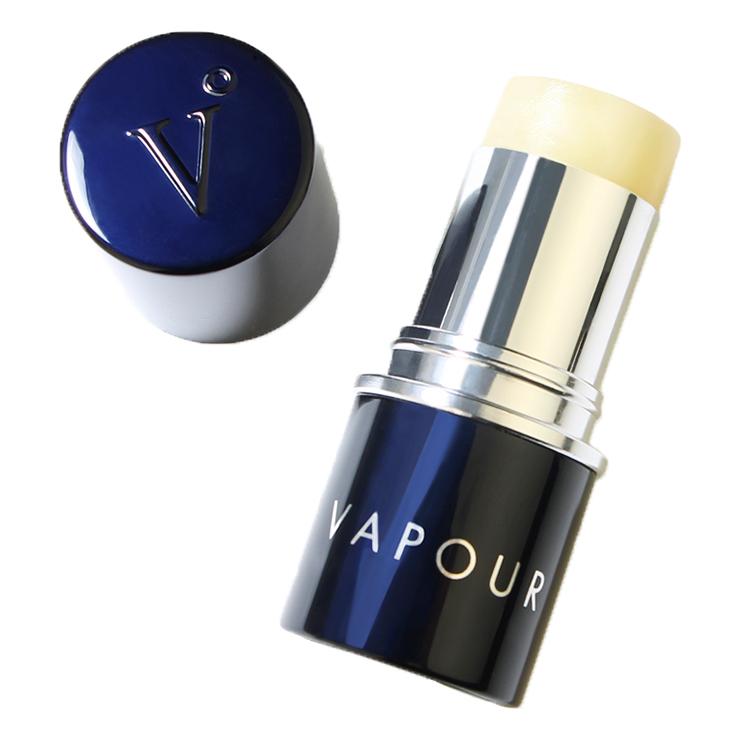 If you are looking for a lip balm that feels super conditioning and luxurious at once, you’ve found it in Vapour Lux Organic Lip Conditioner. This chubby stick comes in a sleek, modern tube you’ll be proud to whip out and swipe onto lips. Made with natural oils of jojoba and coconut, Lux glides smoothly onto lips and makes your pucker feel soft and silky without feeling overly greasy. Lemon balm and calendula extracts are included to give a calming and soothing sensation to chapped or irritated pouts, while helichrysum arenarium flower extract keeps lips looking plump and youthful. This lush balm carries a mild flavor of fig and plum oils. Swipe Lux balm onto lips liberally and often for a feeling of smoothing softness. Use either on its own, or as a base for your favorite lip color. 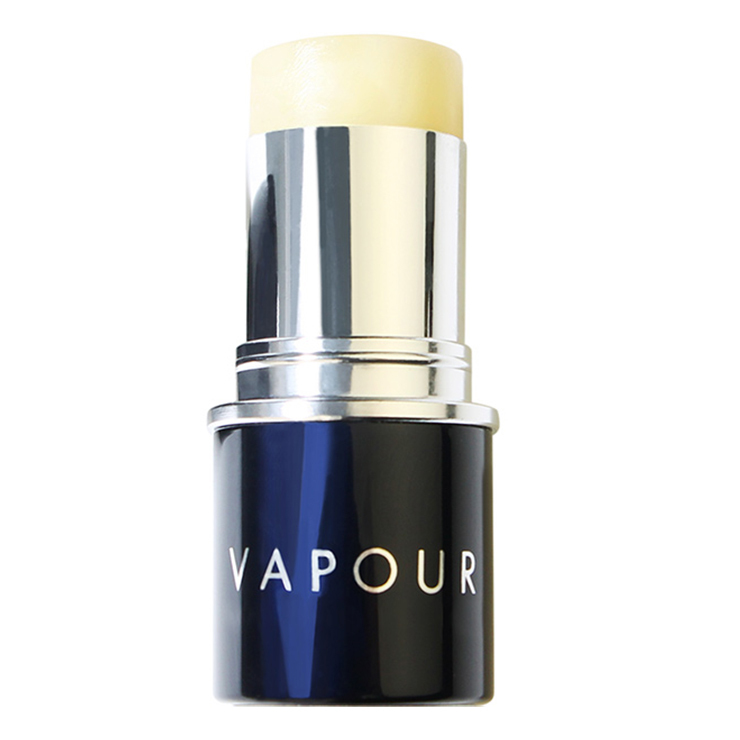 This balm packs easily for on-the-go treatment and is gorgeous enough for a starring role in your beauty bag. Simmondsia Chinensis (Jojoba) Seed Oil*, Cera Alba (Beeswax)*, Virgin Cocos Nucifera (Coconut) Oil*, Ricinus Communis (Castor) Seed Oil*, Ficus Carica (Fig) Flavor Oil*, Prunus Domestica (Plum) & Prunus Armenaica (Apricot) Flavor Oil*, Helichrysum Arenarium Flower Extract*, Melissa Officianalis (Lemon Balm) Leaf Extract*, Calendula Officinalis Flower Extract*.